NIGERIAN TRAVELERS|MEN TRAVEL MOST – TRAVEL WITH DANTE! Travel has been an essential part of human existence. We journey miles to see loved ones, engage in business transactions, or most times, to see the world around us. Modern day technology has also done more good than harm in making every stage of the journey easier and more convenient. For instance, now you can reduce a 6-hour journey to just about 45 minutes with the help of an airplane. Air tickets can also be procured from just anywhere with the help of the internet. The stress of having to comb different locations for hotel lodgings when you arrive at your destination has also been eliminated seamlessly by online booking platforms. 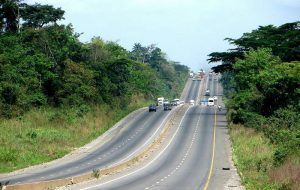 Imagine you are traveling from Lagos, for instance, to Abuja Nigeria’s state capital, say for, business meetings. All you have to do to find a comfortable and affordable hotel to stay – depending on your budget – is to place a booking on any of the hotel booking portals just from anywhere, anytime, saving yourself some leg works and the gruesome task of having to deal with disappointment associated with not finding a tasteful hotel of choice. Nigerians, no doubt, love to travel – either local or international travels. It’s in our DNA. We seize the slightest opportunity we get to move out of our comfort zones to see new environments – sometimes for business, pleasure, or family outing. The reasons are just easy to come by. However, who would have thought that our men are more frequent local travelers than our women? Surprisingly, they are – at an unimaginable ratio. Women only account for 22% of the population while men account for 78%. 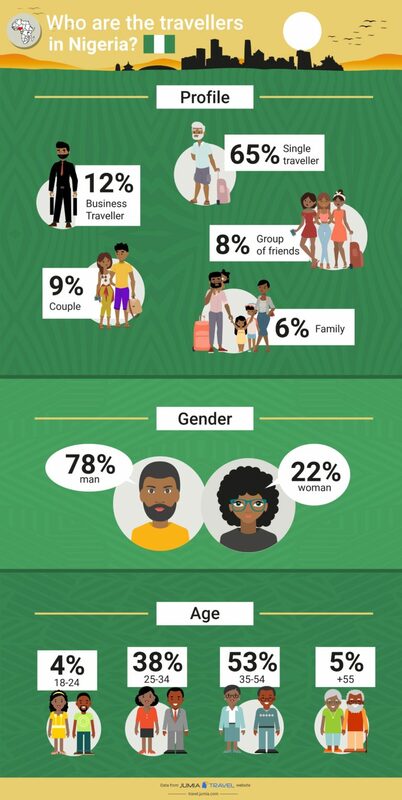 Africa’s number one hotel booking website, Jumia Travel presents you with its most recent infographic on the statistics of Nigerian travelers.